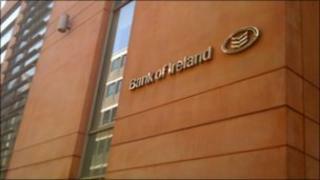 Bank of Ireland (BoI) has confirmed that some of its customers in the Republic of Ireland will face fees and charges for the first time. Current account holders who do not make nine payments every quarter will have fees imposed on them. From 21 February, customers will have to deposit a minimum of €1,000 (£849) per month into their account. Customers who do not meet the new criteria will be charged 28 cent (24p) for each transaction. The majority of the bank's 1.2m current account holders will be subject to the new fees. The changes, which do not affect customers in Northern Ireland, have been criticised by the Consumers' Association of Ireland.